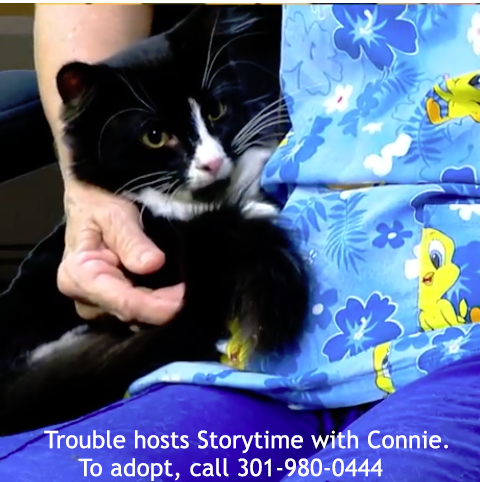 Cable Shows: The cable shows may be viewed on Verizon Channel 11 and Comcast Channel 77. 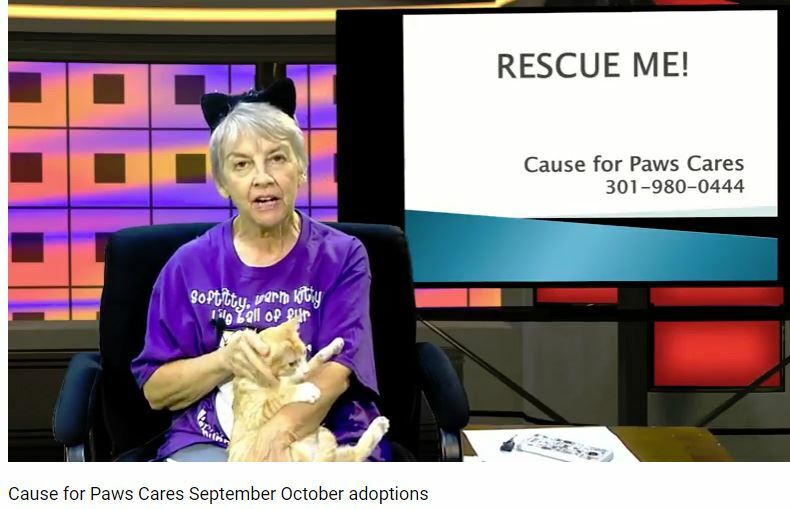 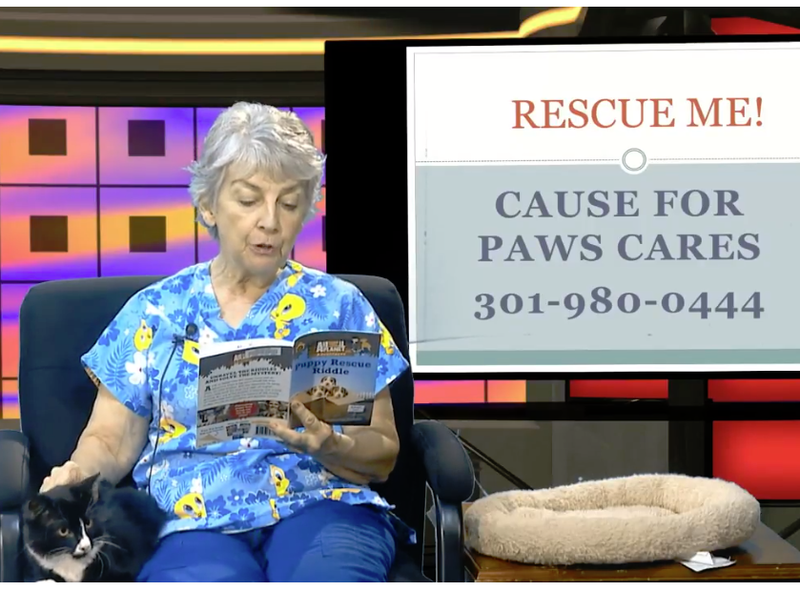 Show is aired Mondays - Friday 9:30 a.m.
We make videos to educate children and the public, to let you view kitties ready for adoption, and to keep the Bowie community in the loop with shelter and rescue animals. 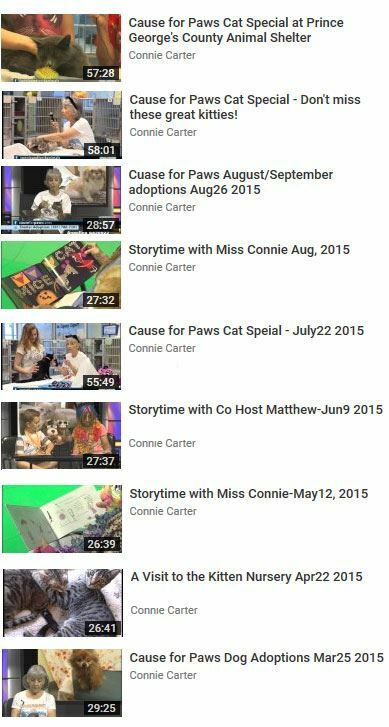 View videos created by Connie Carter and Cause for Paws Cares. 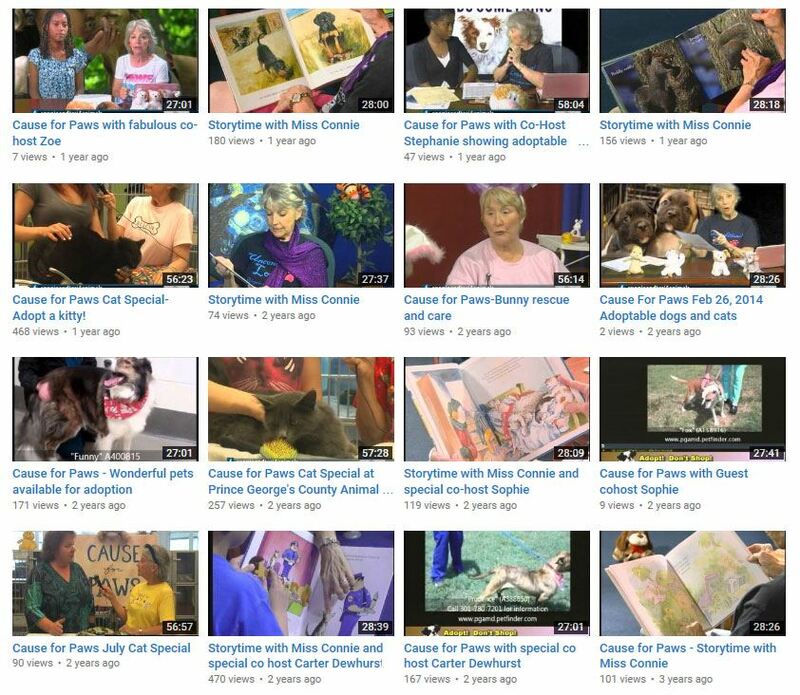 Click the links below to access the videos.